The crossover neck looks tricky to pattern cut but is essentially quite a simple adaptation. 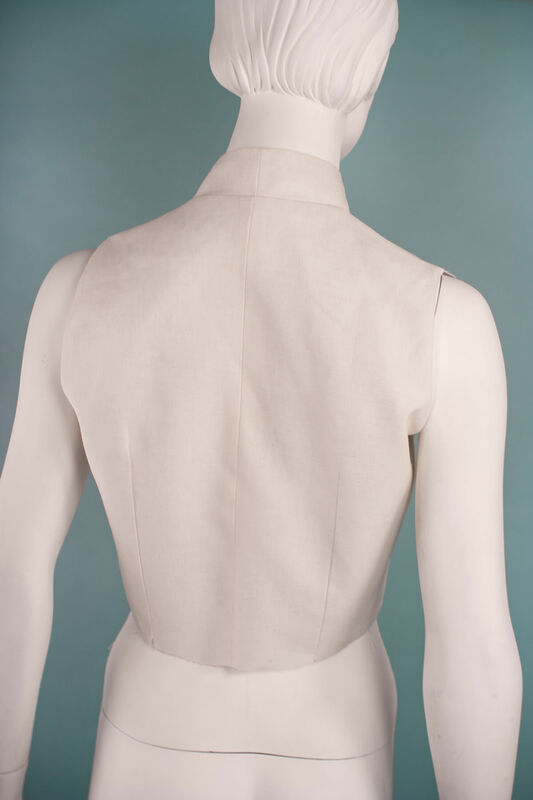 It uses the side neck dart as a pleat to create complex-looking collar structure. This is one of our favourite necklines and works beautifully with the two-piece dress style. Changing the collar height and crossover neck depth creates a range of different design variations. 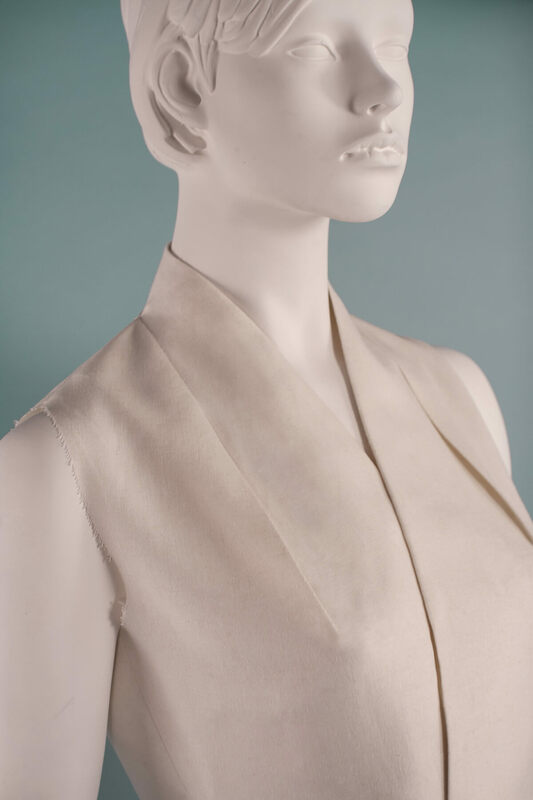 The crossover neck can be used functionally as a front opening for a top or can be stitched closed into a skirt waistband to be used as a design detail. In this tutorial you will learn how to add a crossover neck to your basic bodice, torso or derivative style, using Adobe Illustrator as a digital pattern making platform. You can also adapt your paper patterns manually by using the same techniques as the process is very similar. 1. 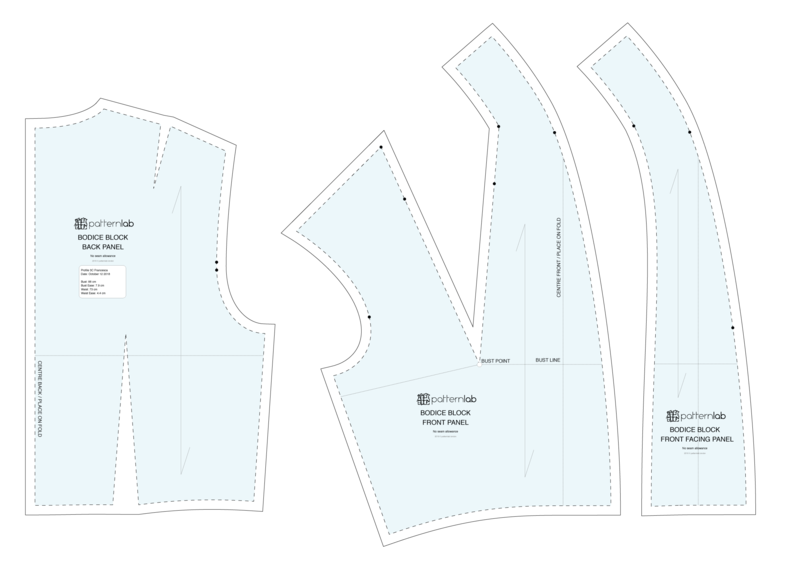 Selecting, designing and drafting the correct blocks used to create the crossover collar neck pattern. 2. Opening the purchased ePattern basic blocks in Adobe Illustrator and pasting onto the cutting table ready for pattern making. 3. Measuring the back neck curve, creating the collar template and slash/spreading the top edge of the collar to create shaping. 4. Rotating and aligning the collar to the neckline on the front block. 5. Marking points on the front block to create the crossover width/height and finally drawing in the new front neckline shape. 6. Marking depth of pleat-opening on the upper front dart. 7. Rotating closed lower front dart to increase size of pleat/upper front dart. 8. 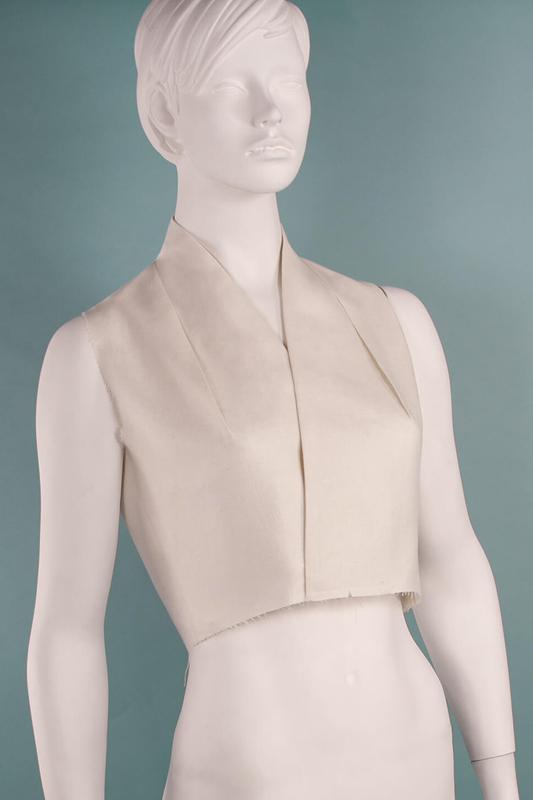 Creating a facing for the collar and front bodice block. 9. Adding notches to your block in order to match up pattern pieces.